Homepage » Member Profiles » DuVine Cycling + Adventure Co.
DuVine Cycling and Adventure Company designs and leads luxury bike trips in the world’s most amazing places – from the rolling hills of Tuscany and storied medieval villages of Provence to the Andean foothills of Argentina’s wine country and the lush vineyards of Sonoma. DuVine is committed to seeking out the very best in everything for our guests, from the big picture down to the smallest detail. Our ultimate goal is to consistently amaze, surprise, and delight our guests with unparalleled experiences, outrageously satisfying food and drink, and a myriad of thoughtful touches. Everything we do is driven by a spirit of fun and adventure that permeates every trip, and we believe strongly in the tenets of Duvine Style: Live each day to its fullest, bike for the best experience, and never forget to stop and smell the flowers – or taste the wine! DuVine travelers experience the best of each region – world-class accommodations, sublime meals, and carefully designed itineraries. But the most important thing about any DuVine trip is getting to know the amazing attributes of travel by bike. Pedaling through the countryside, each traveler is intimately connected to the landscape, their senses fully engaged in the experience. The sights, sounds, and smells of the environment, the unique and delectable taste of local specialties, and interactions with real people lead to true local understanding and full-bodied memories that last a lifetime. We serve travelers of all cycling abilities who are looking for an active vacation option in some of the world’s most amazing destinations. With offices in Boston, Italy, France, Brazil, and Mexico, our cyclists come from all over the globe. We believe that biking is the best way to travel, and at DuVine, we want each of our guests to have the adventure that’s right for them. To that end, we’ve created five carefully tailored tour types, flexible and customizable itineraries, and the option of creating a private trip from any existing tour. Travelers can pick the trip that meets their needs or design something from the ground up to fulfill every one of their desires. We also introduced a new product line in 2012: Couture. This is a no-holds-barred travel experience unlike anything you’ve ever known before. For each Couture trip, we apply our extensive experience to craft exceptional, world-class adventures that will captivate even the most experienced of travelers. Sumptuous meals, exquisite accommodations, and rarified VIP experiences put these trips in a class all their own. Luxury bike travel has never before reached such heights. The DuVine Guides and Behind the Scenes team are tireless in their efforts to make sure every detail of every trip goes above and beyond expectations. Our experienced guides have firsthand local knowledge and boundless passion; they treat our travelers like family and are committed to creating experiences that will be remembered forever. From developing the most creative, well-paced itineraries and choosing exceptional restaurants to selecting top-of-the-line bikes and laying out a picnic of delicious local foods, we have everything covered so you can focus on enjoying your vacation. DuVine is the only leading bike tour company with complimentary pre-and post-trip concierge assistance so that you know you’ll always be taken care of and never miss a thing. DuVine travelers take part in carefully curated cultural experiences that are authentic, thought-provoking, and – most important – designed to make you feel like a local. This insider access to little-known gems and thoughtfully chosen activities is the key to shaping exceptional, lasting memories. DuVine guides provide travelers with a meaningful, substantive connection to each region and ample opportunities to take part in the fabric of real life. From a tour of the oldest working olive oil mill in Provence to a visit to a family-run Umbrian vineyard, and from snorkeling in Darwin Bay in the Galapagos to biking some of the world’s most famous climbs, we deliver unforgettable experiences that our travelers didn’t even know were there for the taking. 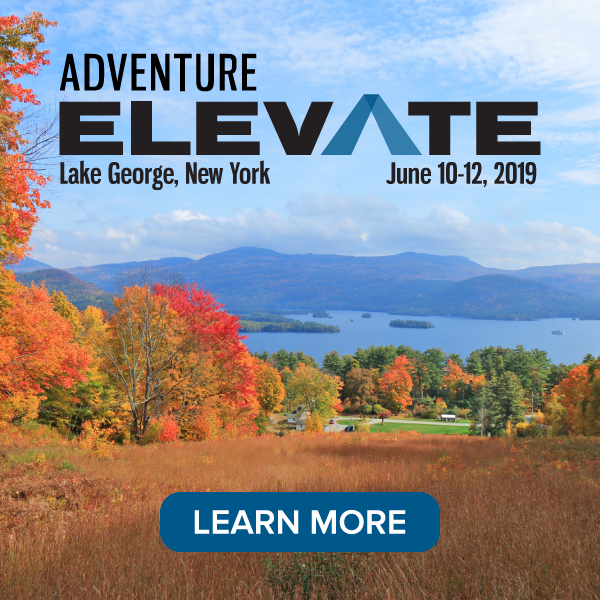 We are looking to connect with the Adventure Travel Community to network, build partnerships/alliances, and explore marketing opportunities. Please contact us at [email protected] or 617-776-4441. Connect with DuVine Cycling and Adventure Company on ATTA’s online member community, The HUB. 1 Comment to DuVine Cycling + Adventure Co.